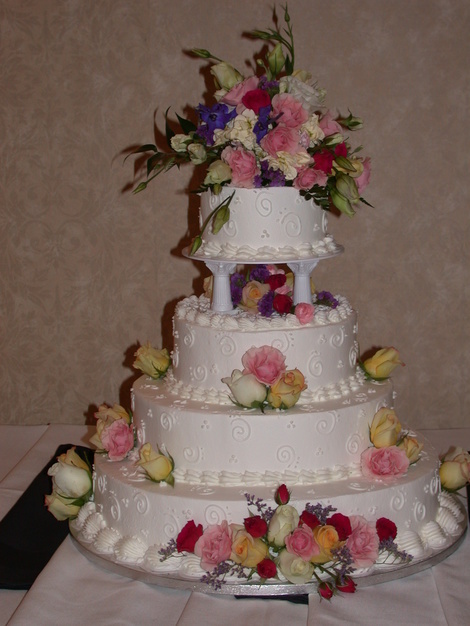 Retail cake bakery with 35 years experience in the Wedding industry. 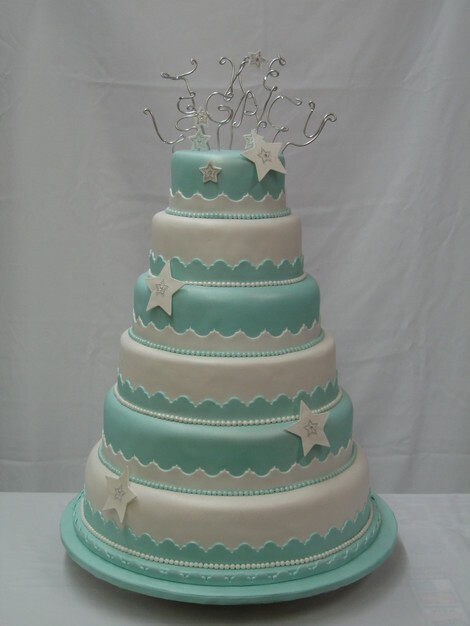 National RBA Wedding Cake champion. 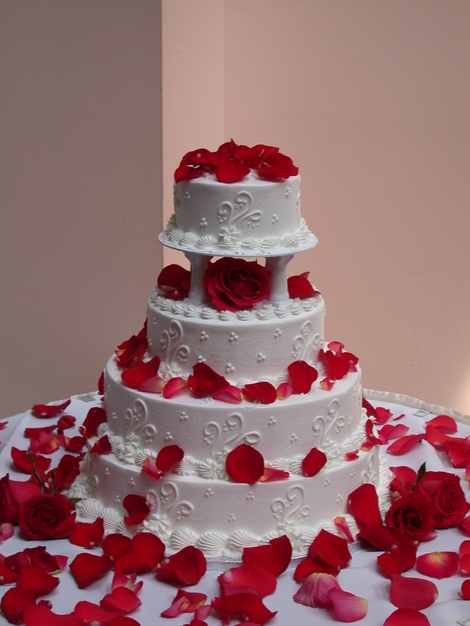 We provide cakes for all occasions. Fully licensed and insured as required by the state of NC. Check us out on our website and on Facebook. Email us to schedule an appointment. 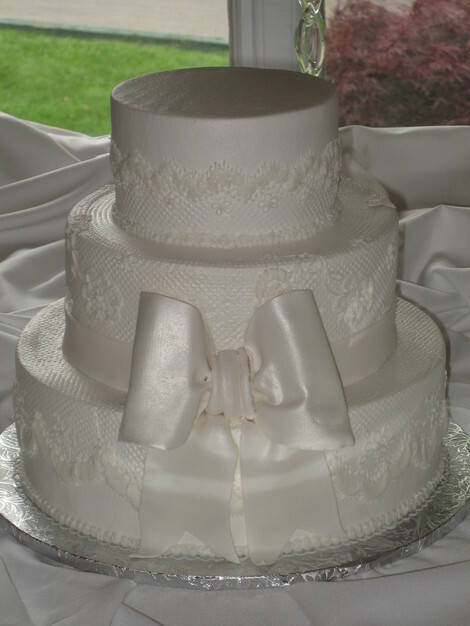 Cakes 2 You offers a Wedding Cake package plan to area Hotels and County Clubs. 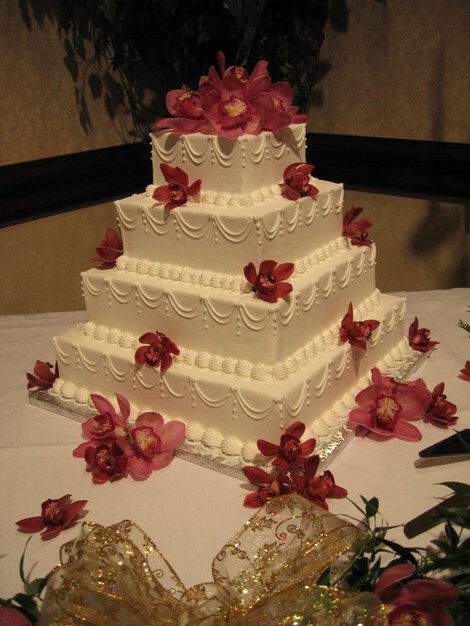 If your reception site has a cake other than ours included in their wedding package, we would be happy to provide them with our Wedding package information. 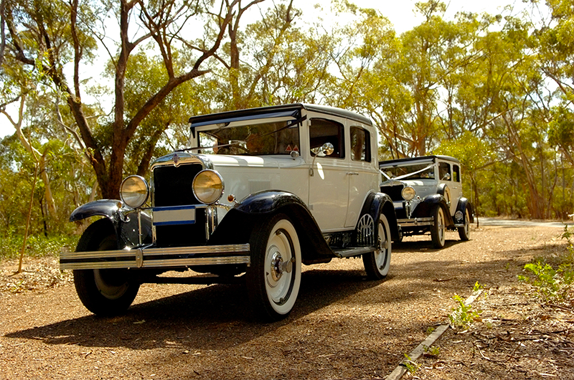 Please have your event or catering manager contact us so that we can work out the details. We appreciate all referrals. 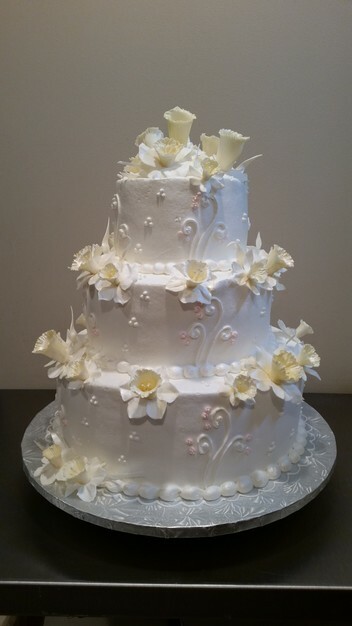 I appreciated all the help and planning I received from Cakes 2 You. 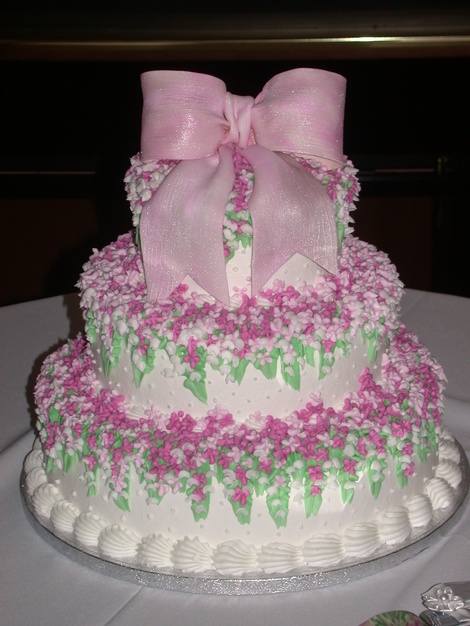 It was amazingly beautiful as well as it tasted fabulous. I would recommend them to any one that would be entertaining an event. The cake was unbelievable. From the design to the art work to the actual flavor. I feel like I just discovered a hidden talent that should be famous already and I told her that and she laughed and then explained that she already has been on the food network numerous times winning cake competitions. Now she just does what she loves. Feel lucky if she takes your job. 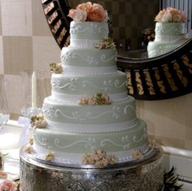 You will get the ultimate in wedding cakes. With as little as two months but booking out further is recommended. 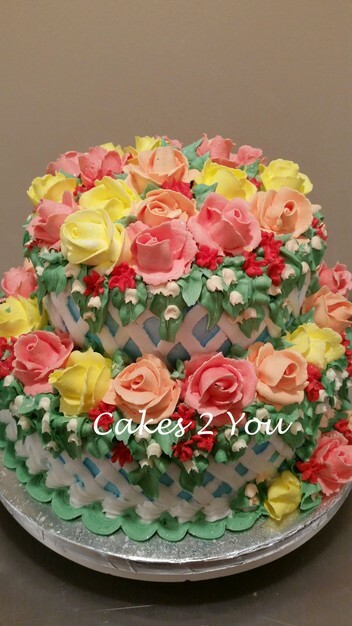 Vintage, modern, traditional, contemporary, ethnic, classic romance, multi cultural or we will create a design of your choice in either butter cream or fondant. Yes, Tuesday through Saturday with two weeks advance notice. You may select up to four flavors to sample at no charge. 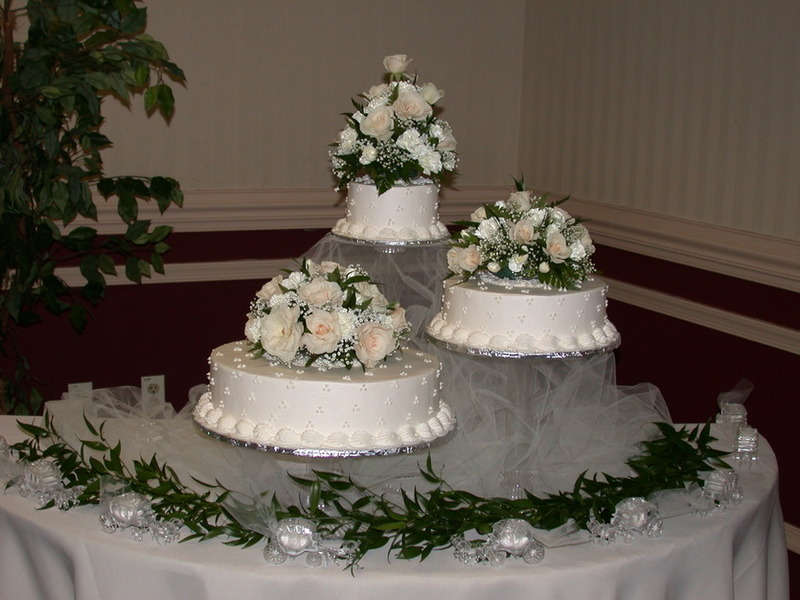 Sugar flowers, silk or fresh flower arrangements and a limited number of cake toppers are available. 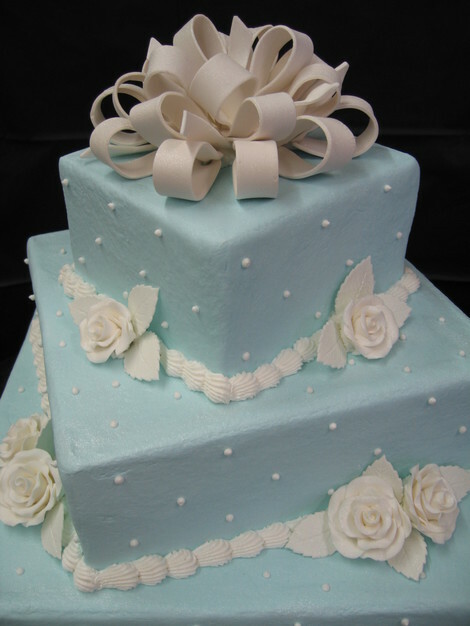 Yes, we can re-create your design or vision in icing. 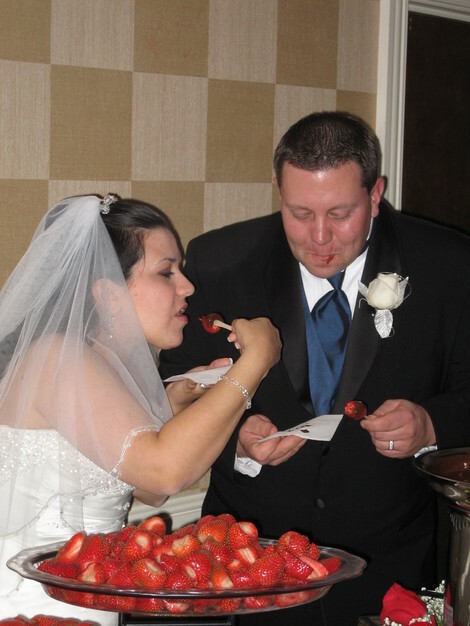 The delivery fee is based upon time and distance to location of the wedding reception. 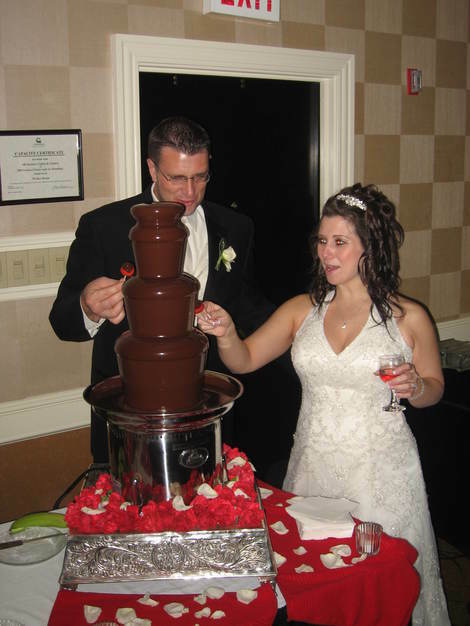 We also provide Chocolate Fondue fountain dessert buffets.